Well, I finished Week 1 of Active’s 5K-to-10K program. And it was a bit tougher than I thought it would be, but it wasn’t really that bad. I had a few issues this week–asthma and terrible shoe luck–but I finished Week 1 on Monday. And I feel good about it. I didn’t run into trouble until I hit Day 3. Now, running for 30 minutes isn’t typically a problem for me. Or it wasn’t. Since late September, I’ve been running almost exclusively outside, even if it was only once or twice a week. But the combination of running 3-4 times a week and switching back to a treadmill and needing new running shoes really started to affect me. My knee has been hurting me quite a bit lately, and I thought all I needed was some new shoes–my Asics have about 400 miles on them right now, and they’re really showing their wear. So when I found the comfy-enough Gel-Phoenix 4s for $30 this weekend, I thought my problems were over. Far from it. These shoes hurt my ankles and knees so badly that I couldn’t do W1D3 at all. I pushed myself for 26 minutes, and just could not go the other 4 minutes. Honestly, it was dumb to push myself that far as badly as I was hurting. I went ahead and hopped on Zappos and bought the Asics Nimbus 14s. I’ll wear them down by June/July and snag the 15s in time for my half, which will be groovy. I’ve had to start puffing my albuterol inhaler again before runs, which isn’t so bad. 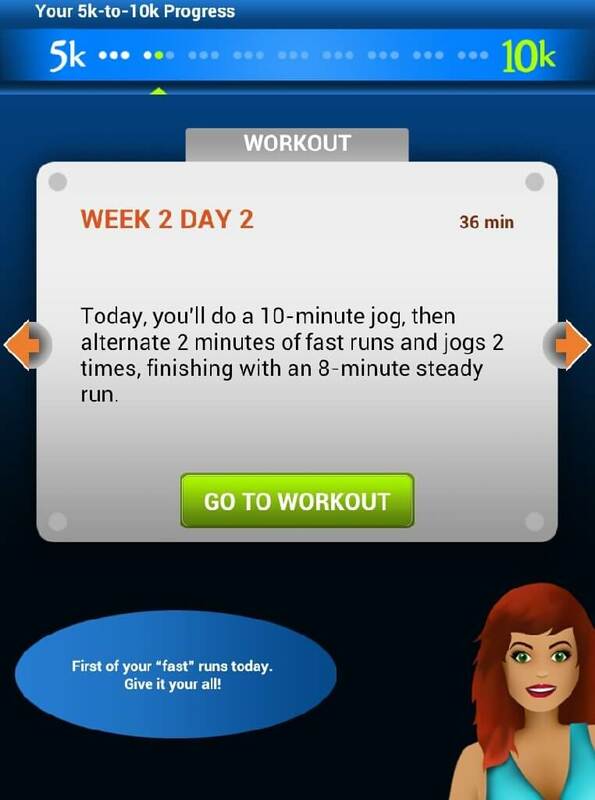 I tried W2D1 without it today, and I still need it. No big. I even added some sprints in for good measure since it was just another 20-minute steady run. All-in-all, complications aside, I’m really looking forward to seeing/completing the rest of the 5K-to-10K program. I feel like having the guide forces me to work harder, and by posting about it here, I’m being held accountable (even if you folks don’t really care at all). I’ll let you know how things go with Week 2. It was pretty hard for me to believe, too, after I had such luck with the Nimbus 13s. I ran maybe 5 miles in them, and my left knee was killing me, and my right ankle felt like it was going to snap in half. I swapped back to my old, worn-out shoes, and it was immediately better. So strange. I’m really happy that Week 2 seems to be pretty simple to step into. If I have trouble with D3 of it, I can always repeat. I’m just mad at myself because this program wouldn’t even have been necessary if I had just kept running over Nov/Dec like I had been–I was running 10K already, but now, I lost it when I dropped my distance by 2/3 because of the cold (and laziness).